The classrooms are equipped with SMART Boards. 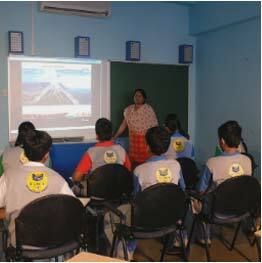 The School block has Smart Classrooms’ with Cameras installed for 360 degree vigilance. The Audio Visual Room is equipped with a television, tape-recorder, over-head projector, computer and LCD projector. These audio-visual aids help make teaching more effective, interesting and learning a multi-sensory process for students. Teachers use these to deliver lessons and screen educational films. Our library acts as a center of academic and intellectual development for staff and students, and contains encyclopedias, various series of world books and over 10,000 publications. The library subscribes to national and international periodicals, journals and newspapers. Internet-enabled computer laboratory with computers designed to meet the students’ information technology needs. Trained and experienced teachers provide both theoretical and practical lessons for students to help them navigate a rapidly changing technology driven world. 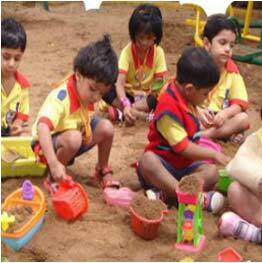 Science laboratories provide requisite hands-on experience which is the heart of science teaching. 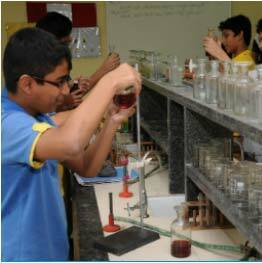 Science teachers along with the lab assistant plan various demonstrations and experiments to ignite the curiosity and inculcate a scientific temperament in the students. A dedicated room is used to hone skills in vocal and instrumental music, dance and drama. A bright, airy and inspiring room, which allows students to see the sights of a variety of media ranging from fine art, painting, drawing and craft to give expression to their creativity. The Canteen operates throughout the year. 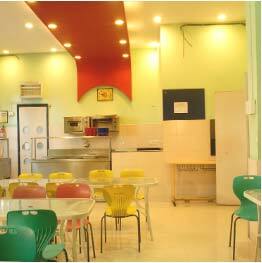 It offers an extensive variety of food - making fresh rolls, sandwiches, complete meal of different varieties each day. Milk, juices etc. are just a few of our large selection of items on sale. To provide the students with a healthful choice of food and good service we have four -five helpers daily to serve the students as they only have a short time for recess and lunch. The School has good sports facilities, which include indoor and outdoor basketball courts, table tennis facilities and a multipurpose ground. 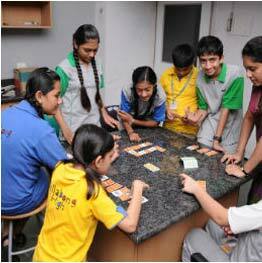 Opportunities for team games and physical training are facilitated by trained physical instructors and yoga teachers. 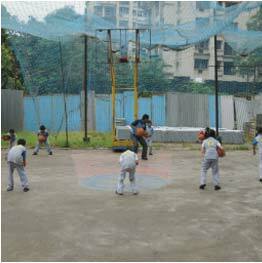 Students practice yoga and pursue sports like table tennis, volleyball, basketball, badminton, throw ball and athletics. 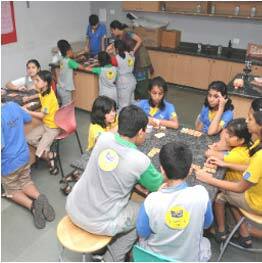 They also enjoy board games like carom and chess. The annual sports day is held to celebrate the spirit of sportsmanship.